In the last 21 years, astronauts on the International Space Station have completed 214 spacewalks. But no spacewalk has ever been an all-women endeavor. That was supposed to change on March 29. Now, just days before astronauts Anne McClain and Christina Koch we supposed to take their spacewalk, NASA is pulling the plug. The reason? McClain’s spacesuit is too big for her. Oh, okay. Apparently, because only one spacesuit of the right size could be made available, McClain was forced to give up her spot on the mission. “McClain learned during her first spacewalk that a medium-size hard upper torso — essentially the shirt of the spacesuit — fits her best. Because only one medium-size torso can be made ready by Friday, March 29, Koch will wear it,” NASA said. The long-overdue female-lead spacewalk was originally met with enthusiasm, but since the news of its cancellation broke on social media, NASA is getting hit with accusations of sexism. People aren’t holding back online either. While some are making sexist jokes (“I am not going out there wearing the same outfit as HER” one Twitter user wrote), others are growing increasingly angry by what they believe to be blatant sexism. “This is disappointing, and 100% known when the original mission was announced. Poor planning,” wrote Scott Drager on Twitter. 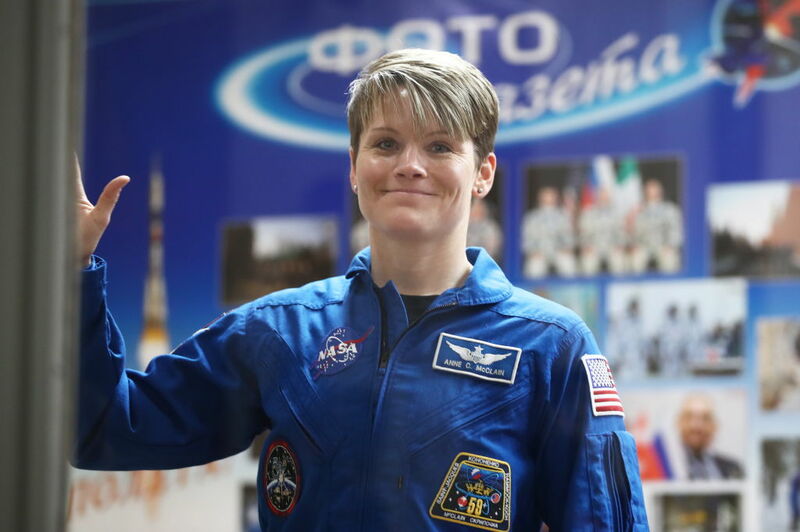 “With the cost of putting a pound of anything into space, female astronauts, with their lighter weight, less oxygen usage, and less food required are 1/3 cheaper to send into space…so why not have more woman?” proposed Laura Lynn Smith on Facebook.